Just what I needed to repair my trusty Ortleib panniers. Good Like For Like Replacement. Perfect replacement . Too bad you can't buy the part direct from the manufacturer, for a fraction of the price, but that's the way things are. And Ortlieb wouldn't then be able to maintain a spares service for bags that are many years old. It's the acceptable side of capitalism! I bought this to replace the clip on the strap that secure the roll-top on my pannier. Straight replacement and everything's working perfectly again. These Ortlieb products are extremely well designed. The spares bring them back up to scratch for a fraction of the the replacement cost. I have a bikepacker plus rear pannier with a broken buckle on the main flap. Is this item the correct replacement. Is the this the correct part for a Brompton Ortlieb O bag. The male buckle on my Brompton bag has broken. The buckle looks like the E146 but either this or the 'O' through the end of the strap would have to be cut to get it off. If I go down this route, am I right in thinking that I'd need an E149 C-Ring to put through the loop in the end of the strap to hold the new buckle on. Or do I have to use an E117 Stealth repair buckle? By the way, this form doesn't appear to work from my iPhone as I can't complete the 'I'm not a robot' test. We would recommend using the E117 buckle. I have the Ortileb Classic. Several years old. Need the top buckle (and shoulder but they are the same fit). 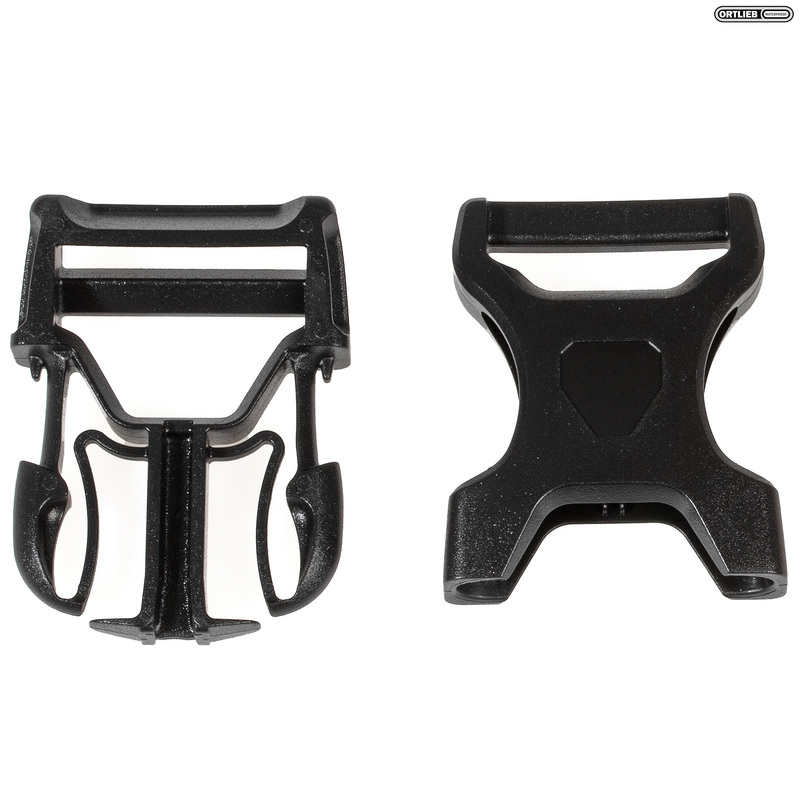 These 25mm stealth buckles are the correct size for use with your bags, but if the strap itself isn't damaged you may actually require the repair buckles instead, these are SJSC part number 14072.